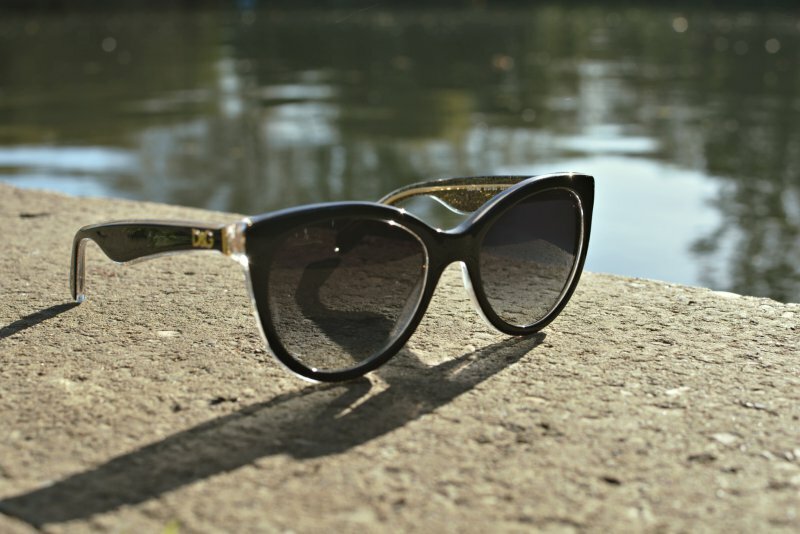 I adore a classic pair of black shades, my shape of choice for everyday wear has to be the cats eye as they're so versatile. my latest addition is these b-eautiful lip gloss sunglasses from D&G which tick all the boxes. they go with nearly every outfit I can think of so they've already become somewhat of a wardrobe staple! the very best thing about this pair of sunglasses? the inside of the frame is gold glitter.. POW! I didn't realise when I picked them that the interior was pure disco (possibly the best surprise I could think of?) I couldn't recommend this pair more. so. darn. cute. -entry is via the rafflecopter widget below, this giveaway is international! 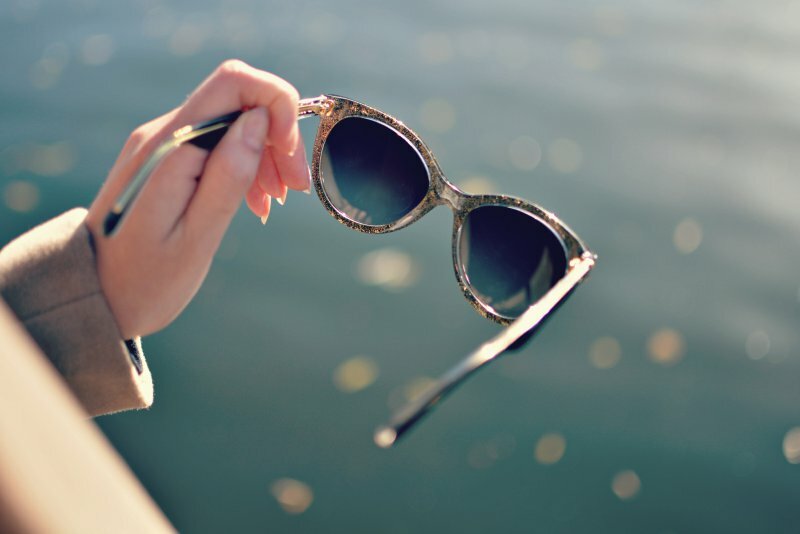 -you can select a pair of D&G sunglasses up to the value of £120. -leave a comment telling me which glasses you want, you can pick your glasses... HERE! amazing giveaway i love your new glasses!! I would like to win this glasses.. I love the D&G lip gloss sunglasses. They look so good on you. One of the best giveaways I've entered to date x I'd love the lip gloss black- aren't I a copy cat! It's so difficult to pick just one but I think the Lip Gloss ones in Tortoise are simply classic! I might choose Dolce and Gabbana 4158P D&G All Over... but not sure yet.. I would love the DOLCE AND GABBANA 2118P D&G All Over Gunmetal 119613 thanks! thank you for the amazing chance! Black 27378G. Thank you for this opportunity. I'd love to win the Lipgloss Tortoise ones! This coat paired with the cat eye looks so chic! So many great ones but I love the 4192 lipgloss D&G's that you picked best! The lip gloss ones are gorgeous!! I ADORE your lipgloss pair! These are beautiful! I'd love the Iconic Logo sunglasses in tortoise! I love the Lipgloss black pair of sunnies :) would go perfect with everything. i would love the lip gloss black pair! I'd love the Dolce and Gabbana 4192 Lip Gloss Black. I'd love to win the Dolce and Gabbana 4192 Lip Gloss in Black! 'i love to win the Dolce and Gabbana 4192 Lip Gloss in Black! The Sicilian Baroque Black are my favorite. Awesome giveaway!! I'd actually pick the exact same ones as you! I love the Dolce and Gabbana 4170P Iconic Logo. I loved Dolce and Gabbana 4171P Iconic Logo!! Fantastic giveaway and lovely blog, thank you!!! I love the Lipgloss in black! So chic! Thanks for the giveaway! I would like to win Dolce and Gabbana 4158P D&G All Over Grey. I would go for the lipgloss sunnies as well! I LOVE your coat. I couldn't pull it off but it looks lovely on you! 4171P Iconic Logo Tortoise 502/13!Thanks! I would love the Tortoiseshell Lip Gloss sunglasses. I've finally been able to wear contact lenses so can get rid of my boring prescription sunglasses for something new and funky now, I can't wait for some summer sun!